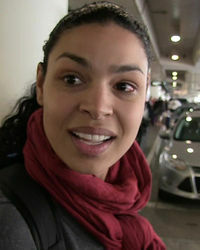 Jordin Sparks was born on December 22, 1989 in Phoenix, Arizona, USA as Jordin Brianna Sparks. I Got That Pregnancy Glow! Secretly Tied the Knot in July ... She's Also Pregnant!!! I Wrote 'No Air' But Got No Cash ... Now Pay Me! Jason Derulo caught in a snow storm! Jordin Sparks: Check Out My New Ride!